The time is now for Americans, and especially Texans, who honor American service members to step forward and send a message of support to the family of American Sniper author and former Navy Seal, Christopher Kyle and to all families of deceased service members. A memorial service has been scheduled for Monday, February 11. The service will be held at Cowboys Football Stadium in Arlington, Texas at 1 pm according to a posting on Kyle's Facebook page. An honor guard from the "Patriot Riders" will be present to offset a planned protest of the memorial service by the despicable Westboro "Baptist" Church that has become infamous for protesting the deaths of American heros over the issue of gays in the military. 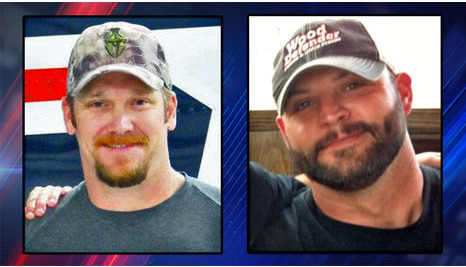 Kyle was killed last Saturday, Feb 2, alongside veteran Chad Littlefield. On Tuesday the family of Chad Littlefield announced funeral services for the military veteran. They will take place Friday, February 8th at 2 p.m. at First Baptist Church in Midlothian, 1651 South Midlothian Parkway. The two American heroes were allegedly shot and killed by another former soldier who was alleged to have been suffering from PTSD, Eddie Ray Routh. Kyle had dedicated himself to helping his fellow veterans deal with this problem since he got out of the Navy. 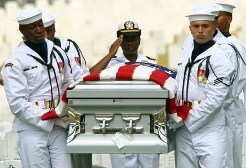 There is nothing quite as gut-wrenching, tear-jerking or healing as a military funeral service. In this case, where a man who was such a hero, such a man of service to our nation and his fellow veterans, who lost his life so suddenly and needlessly, this service will be particularly meaningful. This is a time to take a break from your busy schedule and pause to honor not only Kyle, but all of our service members and their families.